Georgensgmünd (D): Metal laser melting is enjoying increasing popularity. The method has made the successful leap from rapid prototyping to an approved manufacturing technology. In principle, any material that is weldable can be processed. Toolcraft uses nickel and titanium alloys, stainless and tool steels, as well as aluminium-silicon alloys. Now, the company has also begun to use a high-strength aluminium alloy produced by the company Airbus APWorks. Metal laser melting, in combination with established core techniques such as turning and milling for materials that are difficult to machine, provides significant added value. At the end, tactile or optical measurements are taken of the manufactured components and they are checked for surface faults using a non-destructive method. The cooperation with Airbus APWorks extends this process chain to further elements. In the future, clients will therefore benefit from topology optimisation of the design data. An evaluation of the components takes place in advance. In view of the many possibilities provided by the additive manufacturing, redesigns can also offer further potential. For example, savings can be made with regard to the weight. The advantages of this innovative method are obvious: the production of complex geometries, the processing of difficult to machine materials, and the production of components in the shortest possible time with particularly low material waste. Toolcraft always aims to improve its procedures and to expand its material base. For this, reliable and innovative materials-procurement partners are essential. 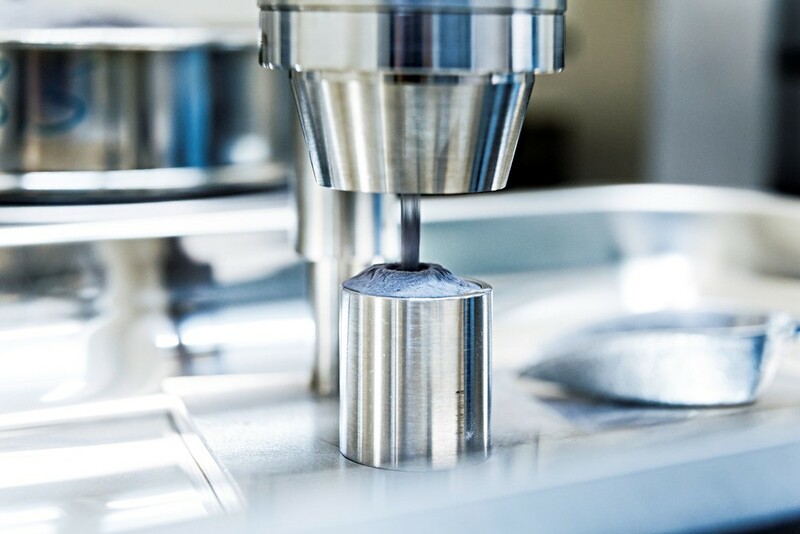 „The Airbus Group has produced a type of powder that not only exhibits the positive properties of aluminium, but also very high strength with good elongation at break. Scalmalloy®, as it is named, is therefore unique in the market“, says Toolcraft Managing Director Christoph Hauck. Scalmalloy® is a corrosion-resistant material with the specific strength of titanium at a simultaneously high ductility. In addition, it is more than twice as strong as the aluminium-silicon powder currently in use. Because of these properties, Scalmalloy® is ideal for high-performance applications in the aerospace and aviation industries, for automotive applications and for special machinery manufacturing.